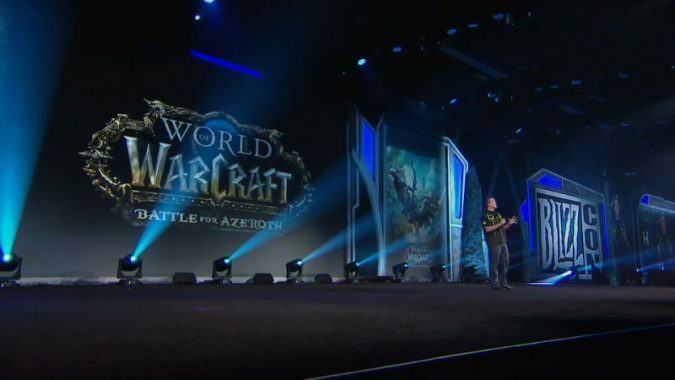 The World of Warcraft: What’s Next panel during BlizzCon 2017 was just slam packed with info. In addition to your standard huge reveals, a quick discussion on PVP rules may have fallen by the wayside for some. Compared to the splashy nature of the Alliance versus Horde conflict and the Battle for Azeroth expansion, the revelation that PVP and PVE servers will now share a single ruleset won’t be quite so cool. However, it really shouldn’t be missed, because it’ll give us a bunch of new friends to play with. The rules are simple. Opt in to PVP, now you’re essentially on a PVP server. Don’t, and things are pretty much like they would be on a PVE server. During the panel Ion Hazzikostas said players who opt for the PVP rules will get some kind of slight boost. They will just naturally have a more difficult experience overall compared to their compatriots playing PVE on the same server, so they need something to even out the experience. Details there were not forthcoming. The actual mechanism for swapping wasn’t initially made clear, either whether it would be a toggle you could change in the field like it currently is on PVE servers, or if it would be a more deliberate choice like visiting an NPC in a capital city to turn off experience gain. The exciting part of the discussion is, you’ll soon be able to link up again with either the carebear or bloodthirsty friends you may have left behind, and that’s pretty cool. I know I miss the guildmates I left behind on a PVP server. I just didn’t have time for good old-fashioned ganking anymore, but when they tried to join me on PVE they were bored stiff. With this change we could all quest together again, and that will likely tie all of us more closely to the battle to come. This also opens a ton of new avenues for recruiting, both for raiding and for organized PVPers.